BARGAINBLOG.CA - Because everyone deserves a good deal. Eh? Because everyone deserves a good deal. Eh? Love them or hate them – let’s compare prices! To discover if Amazon price matches Walmart, we’ll compare 5 totally different products. Then, we’ll make our entirely unscientific – but hopefully helpful – verdict! All of the prices listed are current as of time of writing. Price at Walmart: $19.97 Price at Amazon: $19.97 PRICE MATCH! Boy, has this blog been coffee-centric lately! And no, I won’t apologize for that (as I sip on a homemade latte, and think longingly of making another.) So, first up is a bulk pack of 24 K-cups for your Keurig coffee maker. Want a delicious Starbucks coffee without leaving home? Voila! And yes, the prices are exactly the same – to the penny! Who has the better price on K-cups? It’s a tie. Price at Walmart: $22.47 Price at Amazon: $22.47 PRICE MATCH! Hmmm, are you sensing a trend here like I am? Yes, again – to the penny – the price at Amazon.ca is exactly the same as Walmart’s flyer price. This handy 6-cup pitcher is pretty cute in a shade of oceanic turquoise, and comes with one filter to get you started. The better price on Brita? It’s once more a tie! Price at Walmart: $88.00 (Markdown from $108.00) Price at Amazon: $198.22!! WALMART WINS BIG! Okay, so in an attempt to see beyond price matching with flyer items, I wanted to check out another product – one not featured on this week’s Walmart flyer. Instead, I just searched for this product on Walmart’s website. This super heavy-duty Ninja blender has very high ratings, but we want to know who has the best price. At less than half the price, Walmart kills this price comparison! So, maybe we’re starting to see a trend – that it truly is flyer specials that Amazon price matches. Price at Walmart: $22.97 Price at Amazon: $27.99 — Walmart Wins! These new, more natural Pampers diapers have different prices at our two mega retailers. Even though they are featured currently in Walmart’s Baby Book flyer, this is not price matched by Amazon. So, Walmart has the lower price on Pampers diapers, but let’s be fair. Sometimes a poor, exhausted new parent just wants to flop on the sofa and order some diapers online! We feel you, new parents, we feel you. Walmart price: $18.76 Amazon price: $18.76 — PRICE MATCH! And there we have it – another price match product from Walmart’s current flyer! This mega pack of 72 Tide pods make laundry SO quick and easy, and almost effortless. Just pop in a pod! And yes, the price is exactly the same. Our verdict: Does Amazon price match? I think it’s fair to say that YES, Amazon does price match some of Walmart’s deals of the week in their flyer. But, it doesn’t appear that all prices are exactly the same – so make sure to check online before purchasing. And, if you’re planning an Amazon order – just do a quick check first on some of your favourite products to see if Amazon has lowered their price to match Walmart. So, bargain hunters – the deals are out there! And we are determined to find them. I hope that this article helped you to make some wise shopping decisions, and keep a few extra nickels safely tucked away in your wallets. Frugal living blogs keep us happily on a budget! Frugal blogs are some of my very favourite blogs to read. While browsing through them, I am inspired, determined, and ready to take action to make an keep my budget! I love reading all of the creative ways that people around the world are finding to stay on budget, and still have a pretty amazing and fun life! The Non Consumer Advocate – This quirky blog has been a favourite of mine for years. Katy is a married registered nurse with a great income, and yet she lives life simply and fully. And is conscious of every penny! She’s currently funding her two college-aged children through university. While you’re there check out her 5 Frugal Things posts, which are the ones I always check for! (She came up with the popular concept first – kudos to her!) And, also take time to read through the comments section – her readers are true blue frugalites and I love reading their tips, too! Bonus points for: using beans so often! I need to up my bean game. SimplyFrugal.ca is a Canadian website/blog that features Canadian focused deals and bargains. 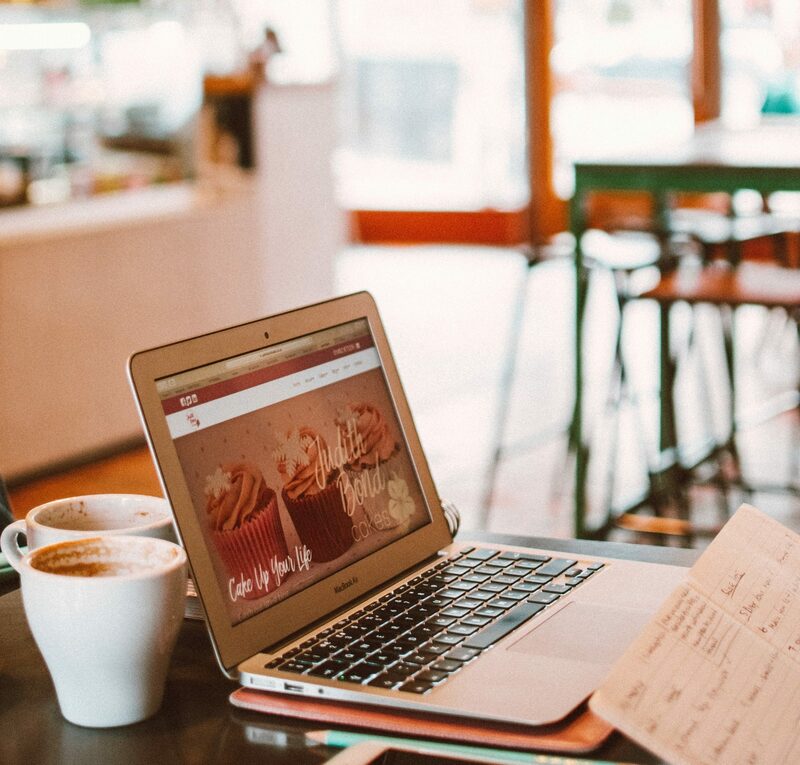 Taya’s beautifully laid out website features all sorts of practical tips that are organized in such a way that makes finding the information you need a breeze! This includes budgeting tips, household tips such as organizing ideas, and much more. There are also sections that help you find Canadian coupons, and special deals. She even has exclusive Canadian coupon codes, so definitely worth your while to visit. Shoestring Cottage – is another British money saving blog. Oops, I guess my obsession with all things British is really showing itself here! 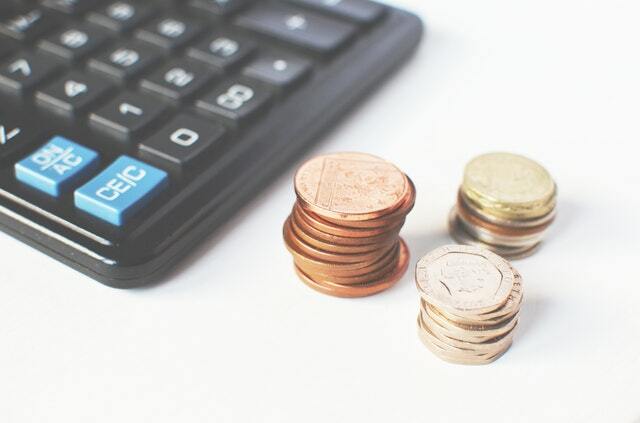 This is another comforting blog that eases you in to your frugal lifestyle – especially if being money conscious is a relatively new idea to you. Jane posts frugal recipes, tips on saving on secondhand clothes, and is another one who posts Five Frugal Things posts that are awesome fun to read. Costco East Fan Blog and Costco West Fan Blog are two new blogs I recently discovered, and am amazed by! Each Monday, the writers go on a shopping trip to Costco locations in Canada to find all the secret sales and deals for that week! This is an incredible resource for Costco members who like to plan ahead, and budget for their shopping trip. These tips help you know when it’s time to stock up on a truly great deal on your favourite Costco items! (Whether that is toilet paper, spices, or OTC medicines.) And, I LOVE that they have two separate blogs- one for Eastern Canada, and one for Western Canada – because Costco sales can definitely be dependent upon region. Notes from the Frugal Trenches – is what I call a ‘comfort blog.’ Just as we sometimes reach for a piece of (ahem! 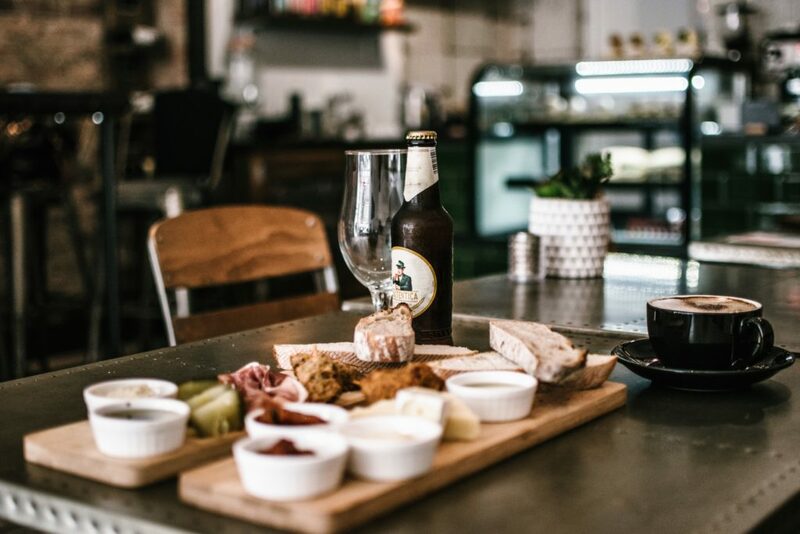 I usually reach for a BAR of) chocolate or a bag of potato chips, there are some blogs that bestow upon us the same feeling of comfort as a portion of our favourite comfort foods. FT is a Mom of 3 living in Toronto, and has what may seem like overwhelming challenges in her life. And yet, she carries on like such a trooper, and makes life sweet on a very limited income. Her kindness emanates from her every word. Bonus points for: Her humanity. AND, how she squeezes delicious meals for herself and her children on a very VERY tight budget. Inspirational indeed. The Frugal Girl – is an incredibly popular American blog that features recipes, reviews, “What I Spent, What We Ate” posts about grocery spending, and much more. A very easy-to-read blog. The Frugal Canadian – is a site with all sorts of freebies and contests for Canadians, and other money saving ideas. All Canadian content, which is super helpful! Nana Pinches Her Pennies – is an American blog that is lovingly low-tech, and very raw in its realness. The writer shares her tips on how to live on a very low income. When you read her writing she sort of feels like your own Grandma, too. Bonus points for: wanting to hug the brave writer! Our New Life in the Country – is a beautifully written blog about a woman named Sue, who with the love of her life switched from a busy town life to one settled in the Welsh countryside. This blog is actually retired now, but Sue has created a new blog about even simpler living in a trailer (caravan) that she writes at A Smaller Life Living Simply. Bonus points for: the adorable pug named Suky! This list of 10 favourite frugal blogs is, of course, just scratching the surface! The Internet is awash with beautifully written blogs that really help us frugalites try to stay on budget. Please leave a comment if one of the above frugal blogs is your favourite too, OR let us know about one we didn’t include. Happy frugal living, all! Well, hello bargaineers! Thank you so much for dropping by. Today, we have the first in a series which we hope will become a popular feature around these here blog parts. And that is: our first showdown of price comparisons at Dollarama versus Amazon. Which one will win? You’ll just have to keep reading to find out. Today’s trip was in a Calgary Dollarama location (the Midnapore location to be exact – which is especially helpful if you want to know where to find these goodies! ), and here is what I found… Let the price showdown begin! 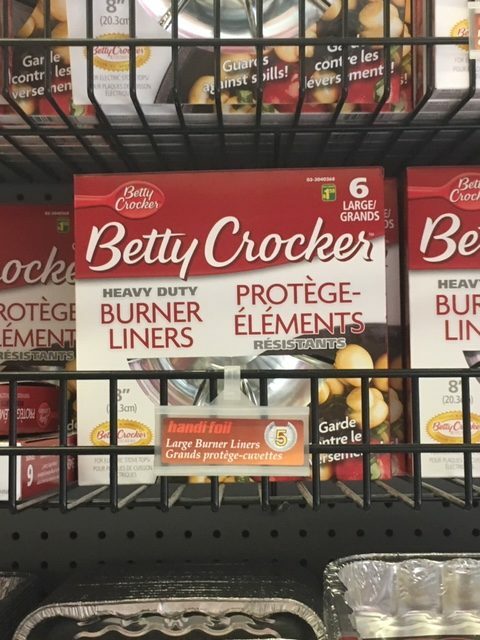 Betty Crocker heavy duty burner liners – $1.50 for 6 – These handy liners do exactly what they claim – line the burners of your electric stove to make that icky job of cleaning around the burners a much easier job. On Amazon, a pack of 6 is $9.77. Now, I’m not saying the quality may be exactly the same, but the price WIN goes to Dollarama! 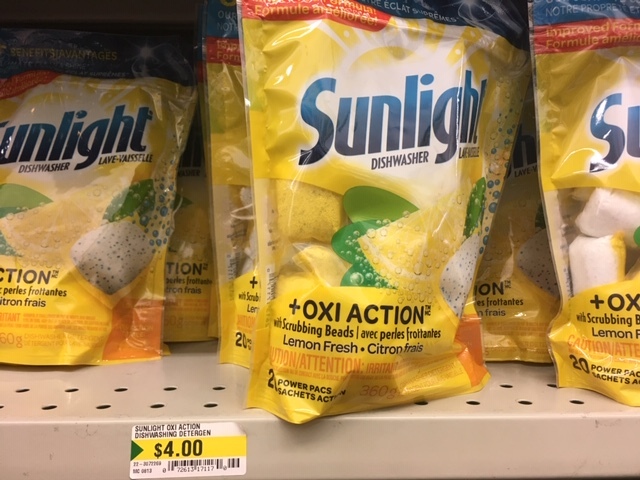 Sunlight + Oxi Action dishwasher power pacs – $4.00 for pack of 20 (or $0.20 per dishwashing pac.) These handy little pacs make it a breeze to get your dishes sparkly clean right in the dishwasher. But, does Amazon have a better deal? On Amazon a pack of 95 is $14.47 – or only $0.15/pac. This time – win to Amazon! 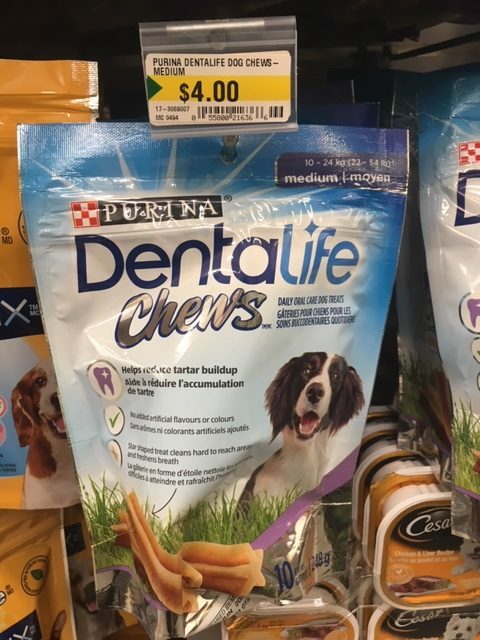 Purina DentaLife Chews dog treats – pack of 10 for $4.00 (or $0.40 each) – These dog treats by Purina help to reduce tartar buildup on your dogs’ teeth – a healthful snack, indeed. (Even if we ARE a little partial to cats…(link)) The specially shaped treat helps to really clean all surfaces. But, what about the price difference between Dollarama and Amazon? A quick search on Amazon revealed that – ta dah! – the price is IDENTICAL. Well, to be exact you’ll save a single (extinct) penny on a bag at Amazon. It’s a tie! 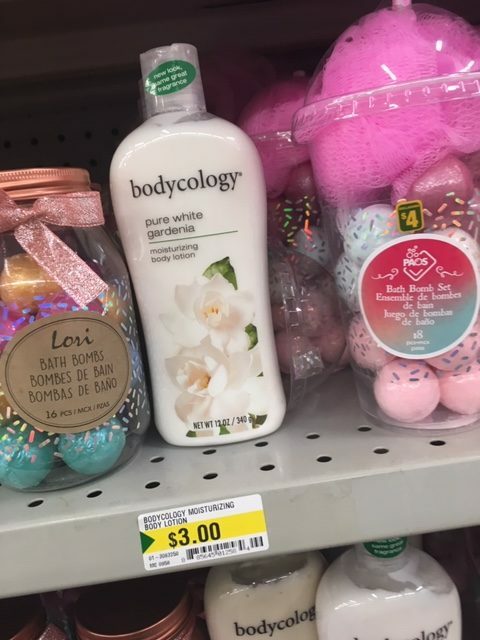 Bodycology pure white gardenia OR Vanilla lotion – $3.00 for 12 oz. bottle – Umm, this one is sort of crazy! Maybe this lotion is no longer in production, and therefore in high demand? The same lotion is selling for as much as $50 on Amazon! Woohoo – maybe go get some and resell it! You’re welcome. BIG WIN to Dollarama!! 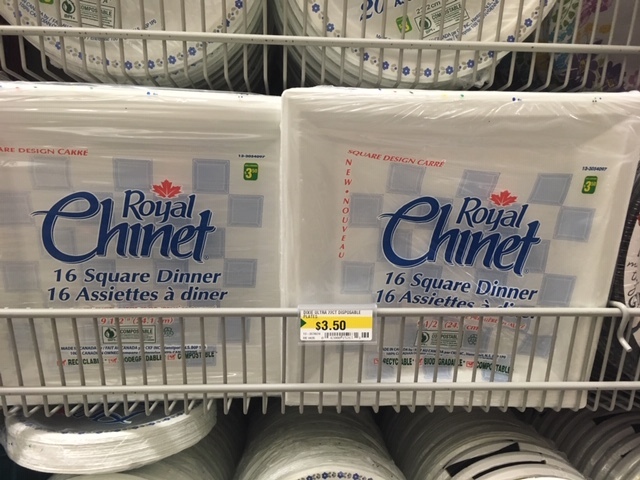 Royal Chinet 16 square dinner plates $3.50 for 16 (about $0.22 each) – Sometimes you just need a paper plate – such as when the whole family and all your dozens of cousins (that rhymes!) come over for a BBQ. These little babies are made in Canada, are recyclable, biodegradable AND compostable. Check, check, check – we like an environmentally friendly paper plate. Okay, then, Amazon – what can you offer? In a large pack of 150 round plates for $26.15 – you’ll pay $0.17 each. So, a win for Amazon! So, according to my limited mathematical skills – I think we ended up with a TIE! Wow, I didn’t see that one coming. Now, there are a few things to keep in mind. With Dollarama, you can just pop down to the store and pick up the products you need and well, Bob’s your uncle. Whereas on Amazon, you have to wait a while to receive your purchase – but, with Prime 2-day shipping, it is pretty ridiculously quick. And you don’t have to leave home to order, either! Yay for PJ pant shopping time. You’ll likely have also noticed that you have to buy larger quantities at Amazon. That case is particularly true with our example of the paper plates – a purchase of 16 plates versus 150! So, if you use a lot of paper plates, saving on each one is a great deal. But, if you just DON’T NEED over 100 plates, then a jolly quick jaunt down to Dollarama will likely do you just fine. Oh, how I love taking a jolly quick jaunt there – okay, terrible English accent off. AND REMEMBER: prices at Amazon can change at a moment’s notice. So, prices quoted at Amazon were the prices current at the time of writing. Okay, bargaineers – what has been YOUR greatest find at Dollarama lately? Which do you prefer – online shopping or local shopping? Please leave a comment so we can all benefit! I do hope this little experiment has helped you to stretch your shopping dollar just a bit further. Watch out for our next price showdown – coming soon! Starbucks Reward Program is Changing! The sweet smell of Starbucks in the morning! Whereas before, you needed 125 stars to get a freebie, soon you’ll need as few as only 25 stars! Now, we will have a greater choice as to what we want to spend our beloved stars on. BUT, we will also need to save for longer for more expensive options such as those delicious Starbucks salads I mentioned earlier. 50 stars – (and this one seems like the BEST deal to me) – a free bakery item, or a hot coffee or tea. The Starbucks graphic showed a croissant, but I’m sure there will be more options on the free bakery item at this star level. 250 stars – Lunch! These items include a protein box, salad or sandwich. This is twice the amount it used to be!! Meaning, it will be a very infrequent treat for moi, now. 400 stars – This is something new. At this level, you can get a bag of coffee OR choose from a selection of Starbucks cold or hot drink containers, such as travel mugs. This might be something to save up for! Or, this could be a good choice if you want to save up for a gift for a friend. I’m assuming that the beautiful Starbucks bonus star offers we receive as registered Gold Card members will not change. I love receiving special bonus star offers in my email! I’ve received up to 200 bonus stars for purchasing certain items. So, hopefully we will still be receiving these awesome bonuses, which really do help the old star balance build up quickly. Remember – it’s only a good deal if you were going to buy the items anyway! Like many, I have been caught up so much in collecting my beloved STARS that I purchased extra items (like lattes or breakfast sandwiches) that I hadn’t planned on buying in the first place. It’s all a matter of balance, people! Right, so my take on the changes to the Starbucks program is this: I’m okay with it. (Not really an earth shattering opinion, now was it?) Sure, it’ll take me a little longer to save up enough stars for a luscious handcrafted latte, BUT it’ll take far less time to get a free regular coffee or tea! My husband loves Starbucks tea, so we might just switch our freebies to those from now on. And, since he can get a refill on a tea when we sit and work in a Starbucks cafe – well, he can get a freebie times two! Please let me know in the comments below what YOU think of the changes to the Starbucks program. Do you like them? Or are you downright disappointed to this change in your daily caffeinated drink? The one that caught my eye is 10,000 PC Optimum points when you buy a $50 Aldo or Roots gift card. So, if you’re in the market for some beautiful Roots clothing or handbags, or shoes or sandals at Aldo – why not get $10 worth of groceries for free at Superstore! This handy silicone sleeve fits neatly over most standard frying pan handles. I find that this works especially well on my cast iron skillets – trust me, I have badly burnt myself on those before! If you have too, then you quite literally feel my pain. This heavy-duty cover also provides a better grip on the pan, and is oven safe to 475 degrees F or 250 degrees C. At $6.00, it’s worth getting a couple to have on hand when one is in the dishwasher. Can you say HOMEMADE LATTE? I knew you could! This handy little gadget creates great fluffy foam for your homemade lattes, cappuccinos and even gourmet hot chocolates. All I do is brew coffee extra strong in my coffee maker. Then, I heat up about 1/4-1/3 cup of milk in the microwave for about 30 seconds. (Your microwave times will vary, of course.) Then, use your Aerolatte to create gorgeous mounds of milk foam! Pour your coffee in over top, and sweeten and add a sprinkle of cinnamon to the top. Starbucks, eat your heart out. 🙂 This adorable Cow Print version is $25.13. I hope you enjoyed today’s Amazon finds. 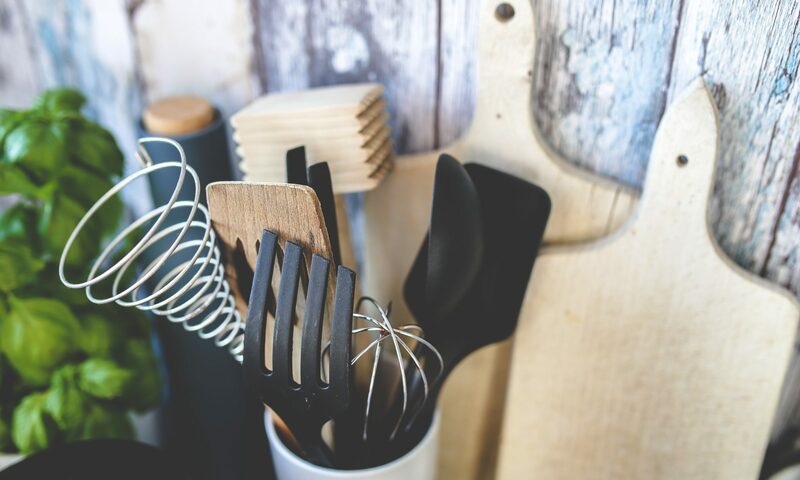 If you’re a kitchen gadget freak like me, then maybe you discovered something new to add to your collection of kitchen must-haves. Okay, off to get more coffee! Canadian Gift card Bargain – Ultimate dining card – 30,000 bonus PC Optimum points! From Saturday, March 16 to Friday, March 22 only – get 30,000 bonus PC Optimum points when you put $200 on an Ultimate Dining gift card! 30,000 points equals $30 of free groceries or goodies at either Superstore or Shoppers Drug Mart. Woohooo! Checkout 51 (If you haven’t already signed up for this money saving app, click here click here to join!) 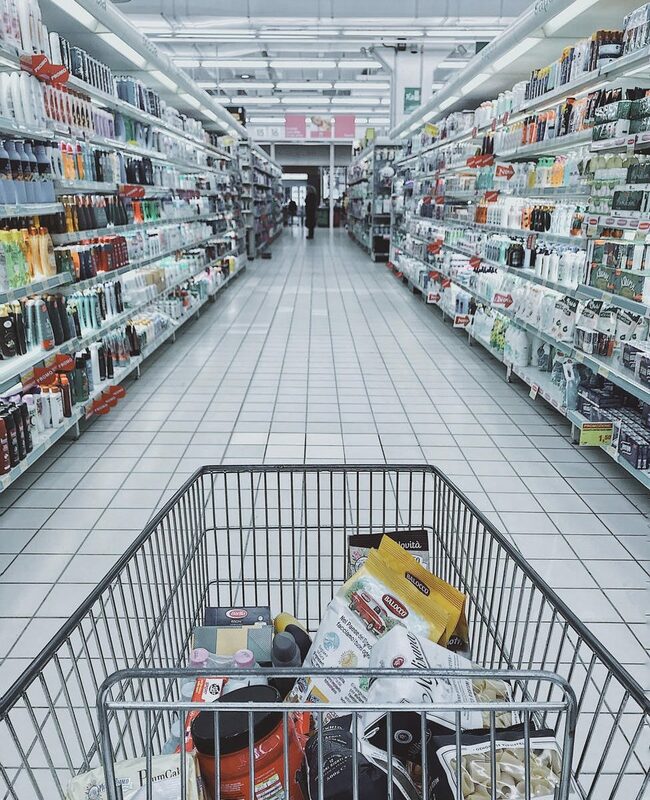 is an incredible Canadian app that helps shoppers find the most valuable coupons. But, instead of the hassle of buying a newspaper and clipping coupons, you have all your best coupons with you stored right in the app! I love the convenience of Checkout51, and check it for deals every week. This is a reliable company that issues you money back into your account when you verify that you have purchased a certain product. Verifying your purchase is as simple as using your phone to take a photo of your receipt. Armstrong cheese products – $0.75 off either cheese slices or sticks. These are SO handy for lunchboxes – the slices to tuck into a sandwich, or the sticks as a snack! Little Potato Company – has a wide range of varieties of flavoured mini potatoes that you just microwave. Voila, instant side dish! $0.75 cash back this week. Enjoy Life Foods – this is a company well known to anyone who has to eat gluten free. (As I have for nearly 12 years now.) They make a delicious range of gluten free treats and cookies. $1.00 cash back on selected varieties of cookies, bars, and energy bites. FRANK’s Red Hot Sauce – is a favourite around here! $1.00 off selected types. Lots of diapers on offer this week – match theses up with any coupons you have for mega savings! And I know you Moms out there are always on the lookout for diaper deals. Plus, there are even more cash back offers on the app! Please visit again for next week’s choices, and please leave a comment about your best deal using Checkout51 with sales and/or coupons. I love hearing about your savings! Once your account hits $20 in accumulated savings, Checkout51 sends you a cheque in the mail. I have received these cheques, and therefore feel excited to tell you about Checkout 51 if you haven’t already heard of them. Click here to join as a new member. (click here) Hope you save some money on your groceries this week! Now, if you’re a cat lover like I am, you’ll know that a cat tree is more than just a foolish overindulgence for spoiled kitties. Cat trees, jungle gyms or kitty condos are in fact a healthy option for indoor cats especially. The natural play and climbing that cats get to enjoy on real trees outdoors can be replicated inside. If you have a pet cat, they will be beyond thrilled to have a cat tree to play on. I love the idea of cat trees so much that I’ve started a new blog entirely devoted to cat trees and cat furniture. The best thing for bargain hunters is that both Amazon and Wayfair often have their best rated cat trees on sale! 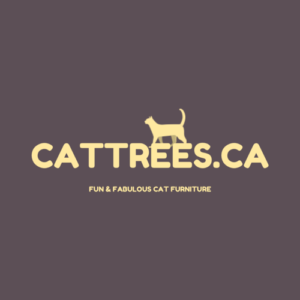 So, pop over to https://cattrees.ca to see what goodies we have in store for you and your feline pals! Right…if you’re longing for a quick European getaway or even a major dream-come-true adventure – well, Air Transat has some terrific options right now. These are just a smattering of the deals to be had for the next couple of days only. 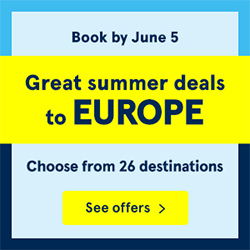 Visit www.airtransat.com and book by June 5 for the ultimate deals!! If you have a chance to go — have an amazing time!